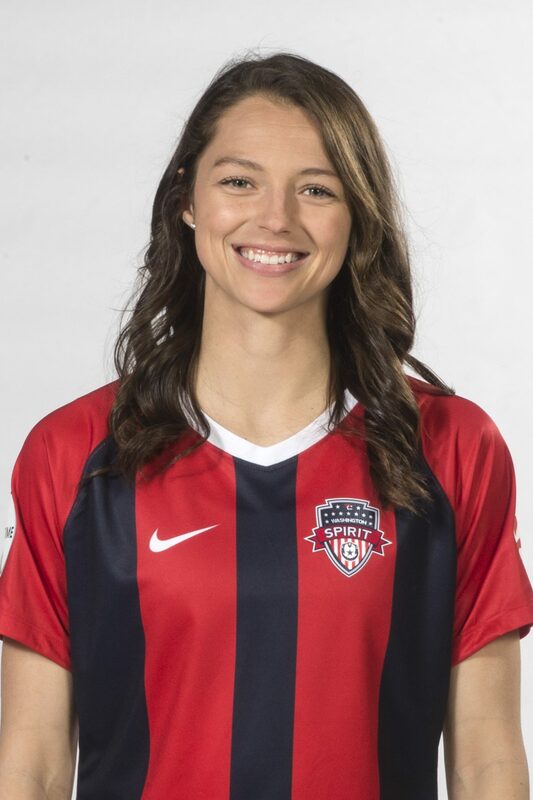 The Washington Spirit acquired Ashley Hatch via trade with the North Carolina Courage on January 16, 2018. 2018: In her first season with the team, forward Ashley Hatch earned the Washington Spirit’s Golden Boot Award, leading the team in goals. Hatch followed up her 2017 Rookie of the Year season with another strong goal-scoring campaign in 2018, finding the net four times during her first season with Washington. Hatch started all 22 games she appeared in for the Spirit in 2018, scoring four goals and earning the club’s Golden Boot award. Hatch completed 19 key passes over 1,927 minutes of game time during her first year with the Spirit. 2017 (NC Courage): Hatch started in 15 out of 24 games played for the North Carolina Courage, totaling 1,373 minutes. She tied a league record with seven goals in her rookie season and she also tallied an assist in 2017. She was named the 2017 NWSL Rookie of the Year. Drafted by the NC Courage on January 12, 2017. Signed with for the NC Courage on April 10, 2017, after being drafted second overall in the 2017 NWSL Draft. 2017: Was a member of the U-23 Women’s National Team in Sweden for the 2017 Women’s U-23 Open Nordic Tournament. She scored a goal against Sweden to seal a victory for her team. 2016: She made her senior team debut on October 19, 2016, against Switzerland. The forward has scored 47 goals and recorded 21 assists for the Cougars in her four years on the team, earning her All-WCC First Team honors. Her senior year, Hatch was the first player in the nation to score 10 and 15 goals in the 2016 NCAA Season. She was a finalist for the MAC Hermann Trophy Award and scored two hat tricks in 2016.